An enchanting album for the entire family, nothing evokes the joy and magic of the Christmas season quite like the celestial voices of these extraordinary Austrian youngsters. Originally released in 1991, ‘Christmas In Vienna’ encapsulates the timelessness of the yuletide season, and the enduring legacy of the choir itself. Experience the beauty of twenty-four of the world’s youngest voices in one of the world's oldest musical traditions. 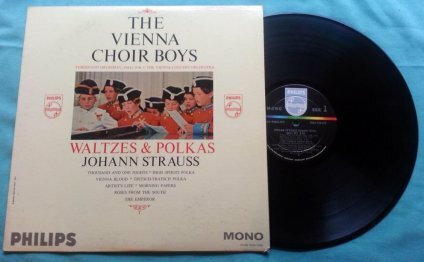 For more than 500 years the Vienna Boys Choir (or Wiener Sängerknaben) has been an enduring symbol of Europe, having worked with composers such as Fux, Salieri, Haydn and Bruckner and conductors such as Claudio Abbado, Leonard Bernstein, Nikolaus Harnoncourt and Sir George Solti. The choir is one of the world’s most active musical ensembles and performs over 300 concerts a year. While providing the music for the Sunday Mass in Vienna’s Imperial Chapel - which they have done since 1498! - the choir also tours internationally, performing each year in some of the world’s finest concert halls. Includes such traditional Christmas favourites as ‘O Tannenbaum’, ‘Heiligste Nacht’ and ‘Stille Nacht, heilige Nacht’ performed in the original German.